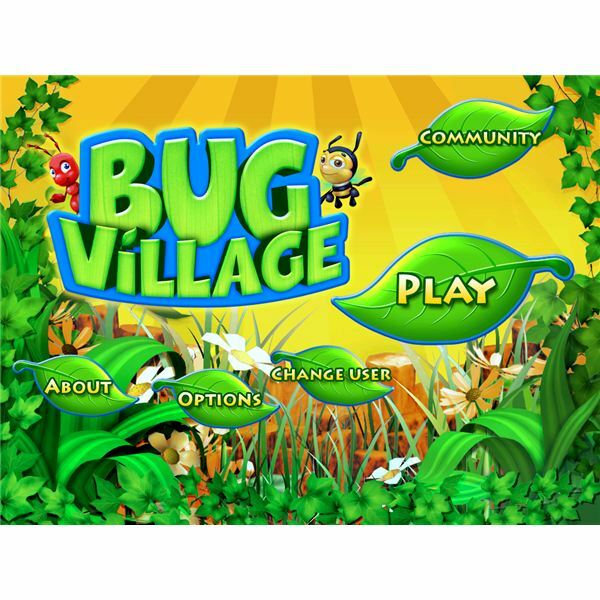 If you are new to Bug Village, or you are wondering what it’s all about please read on for a game guide and learn what to expect. 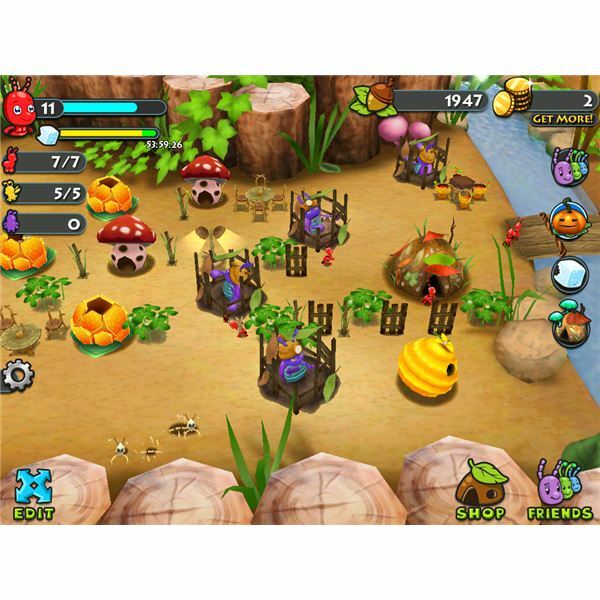 If you are just looking for some Bug Village tips then continue to the end of the article for some tip top buzzy tips. 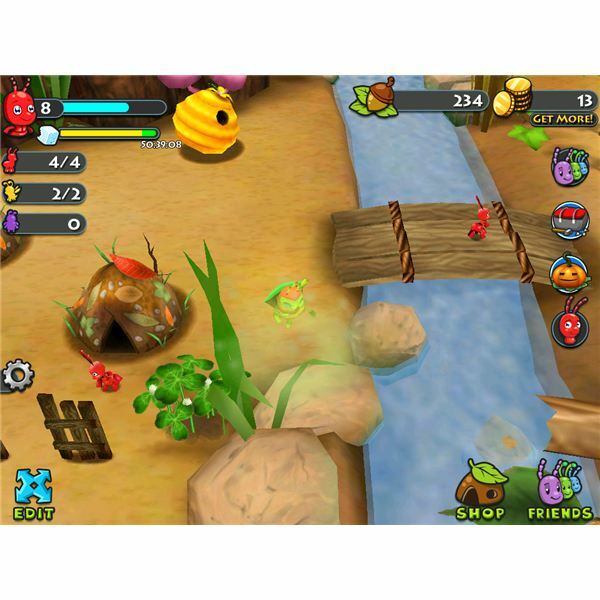 Upon first seeing Bug Village you are left pretty wowed by the overall look of it — it just has a really appealing feel. 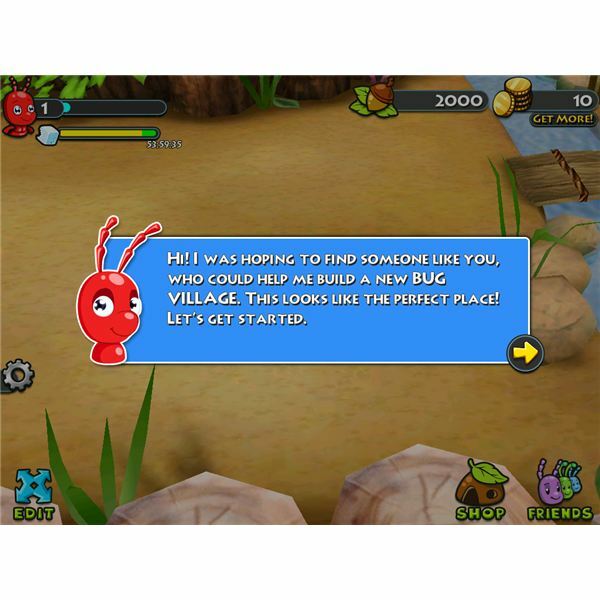 You are greeted by a little ant, who is the sole dweller in your village and he's pretty good at showing you what to do in the beginning. Don't let the cute little bees and bugs fool you though, as this is as good an empire builder game as any out there despite its cute appearances. You begin by building a house for your ant, a pile of country debris to get him working, and you are told how to keep him fed too. Feeding your little guys, buying houses and building piles all costs acorns. The idea is to keep them fed and housed so they can do their work. Upon finishing each work task you get rewarded with that precious XP which ups your level, and of course acorns. Each level means more items become unlocked. Acorns are your basic currency, although there are coins as well (more about them later). Most items can be bought with acorns but there are certain more special items that require you to use coins. 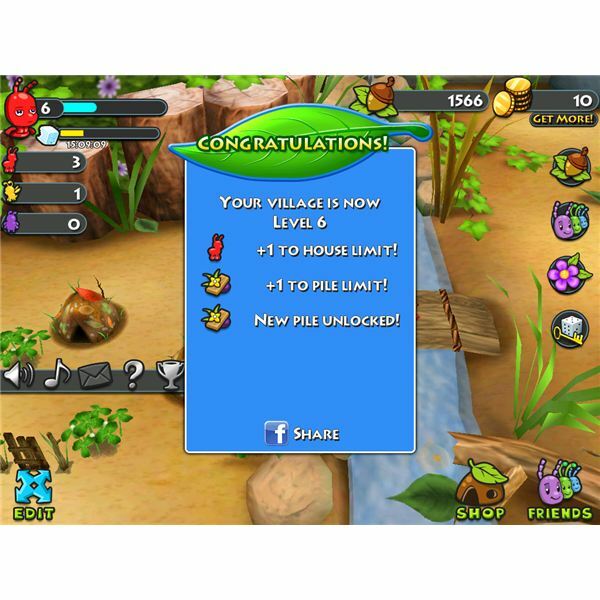 You can encourage more bugs to your village by building them houses, and each type of insect has its preference of house type. In the beginning you'll just have ants, very soon after you can welcome bees, and down the line you can introduce beetles as well. Your village is basically a village of two halves, separated by a stream with a bridge across from one side to the other. There are no rules about where you can build your houses or where you build your piles, or plant your flowers; you can build wherever you like as long as there is room. TIP: For the sake of making things easier for myself I chose to build my housing on one side of the stream, and keep all the work action over the other side of the stream, just because it’s easier to keep an eye on what’s going on with your work tasks. You are limited to how many houses of each type you can buy until you move up to higher levels, so just build whatever you can in the beginning; there’s a chance once they are built to upgrade them to larger dwellings, which is one way of getting around this limit problem. Initially you’ll get a lot of onscreen help and many missions to complete. The missions are pretty easy to complete in the beginning and show you the range of possibilities within the game. I advise you carry out as many of these as possible as you get rewarded when you complete each one. Icons on the right hand side of the screen can be tapped to remind you what your missions are. Hi Ho Hi Ho It’s Off to Work They Go! 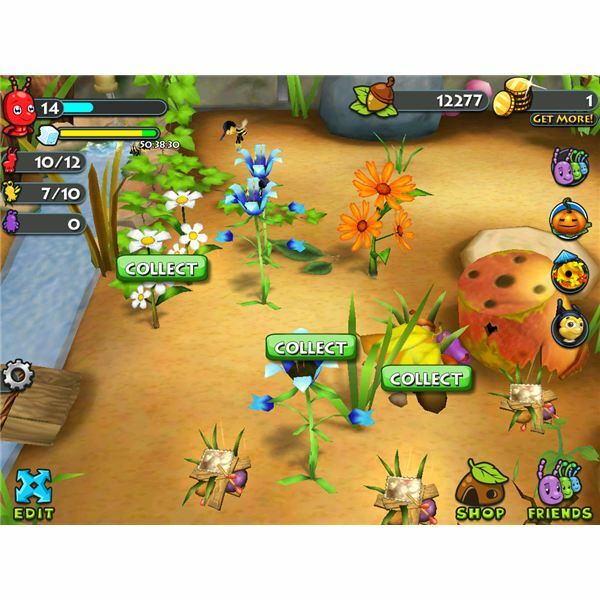 The idea of the game really, is to make sure your bugs are kept busy at all times; as long as you keep them well fed of course. You'll get better work out of the little six-legged creatures if you keep your eye on the food meter (signified by the sugar cube bar in the top left of the screen). You get bonuses for keeping it up to the maximum and they do a little cute dance and a cheer when they are happy and well fed — everything stops for food! If you tap on the ant graphic above the sugar cube you'll get a rundown of what insects you have in your village and which ones are working. So if you have six ants but only four of them are currently working it will be displayed as 4/6; now you know that you need to build more piles to keep the other two busy. Bees work on the flowers (obviously), and the ants work on the piles of varying sizes. By tapping on a pile or a flower you get presented with choices about what tasks to complete all of which are given a time — the longer the task takes the bigger the rewards obviously. Make sure you have enough bugs available to complete each task as some take 2-3 for each one. Of course being the country, bees, beetles and ants aren’t the only insects that choose to dwell in your village. From time to time you’ll get visited by ladybugs, lion ants and stink bugs too. Everyone loves ladybugs so they aren’t a problem, you just need to tap on them when they’re wriggling around on their backs to help them get back on their feet. 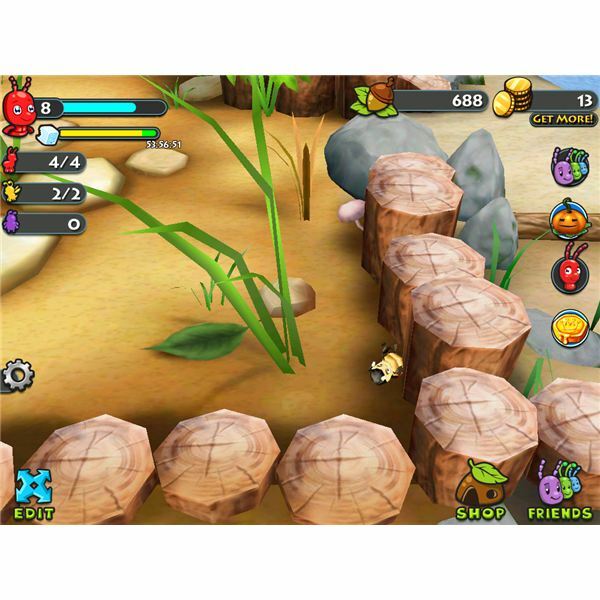 You’ll be rewarded with acorns and XP and the ladybug will smile at you before flying off. 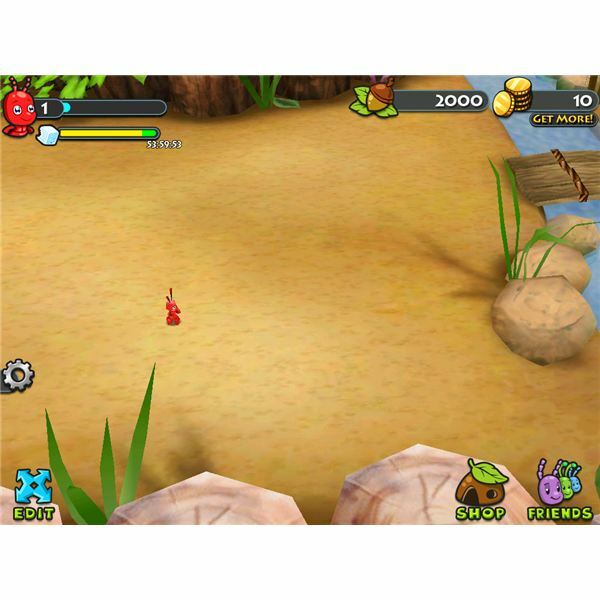 Lion ants cause problems by digging around in your village, you have to tap on them repeatedly until they disappear. They nibble on your acorns, but also they leave you some behind as they leave too. Remember that acorns are your main currency and the coins are the premium currency — I mention this because usually it’s a case of coins and notes and I don’t want you to get mixed up. You get a certain amount of coins to begin with, but of course there’s the option to purchase more for real money through an in-app purchase. I didn’t find this necessary for the most part, although it does open more beehives if you have them. I advise doing free things to get extra coins such as following the developer on Twitter or liking their Facebook page — there are a whole page of freebies you can check. It’s worth checking around your village when you visit each time to make sure you aren’t being visited by any unwelcome guests — it gets them out of the way and adds to your acorns. Most times you start the game you’ll find two or three of them around. Check in to your village often — at least once a day is the minimum. If you leave it any longer you’ll find it really hard to get things back up to standard. Piles will turn to dust and the food levels will be so low you’ll be around for ages trying to get them back up again. In fact I recommend if you are going to be away from the game for a few days that you make sure you have a coin or two. Use the cheese food which costs one coin, but makes sure that the food levels go straight up to max. Stay away from feeding your insects cupcakes. You get better returns from feeding them a few cookies in a row rather than using one cupcake. Give your little critters a big task to do before you go to bed — they can be earning you acorns while you sleep. But make sure their food levels are at max before you leave. Many small tasks will add up to more than one larger task if you are around for a while — you can use push notifications if you are likely to forget to check on them. If you are close to reaching the next level, do a bit of beautification around the village and add some decorations, even if it’s just some clover and a fence or two. 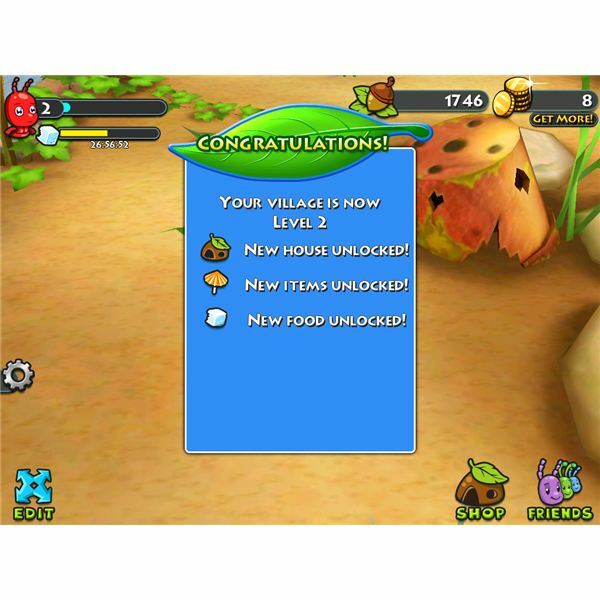 You can easily remove items from your village that will still get stored in your inventory, so if you have a task where you need a Fire Lilly for example, but you’ve used up your flower allowance, you can remove a daisy to make room for the new flower. 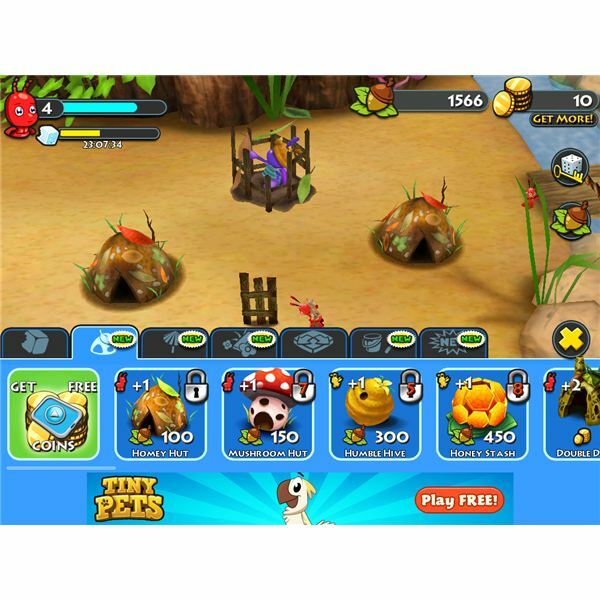 As your levels increase you get a bigger allowance so can replant the daisy you removed previously without it costing you anything. 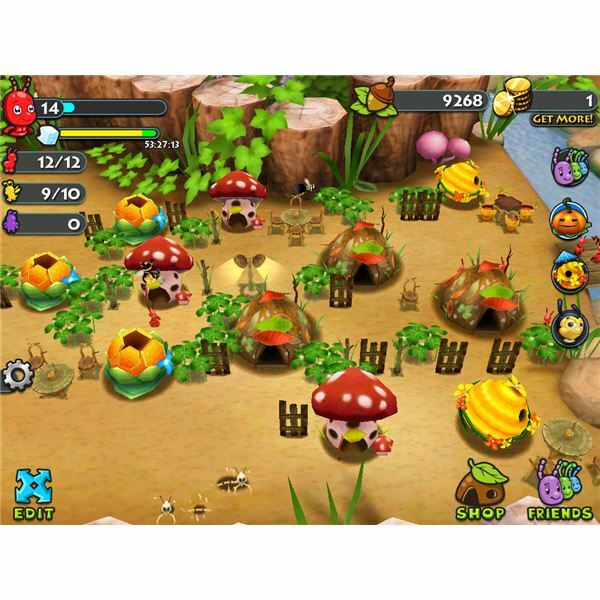 If you have any more tips for playing Bug Village please post them in the comments — I’d love to hear them!